What Causes Call Center Turnover? When an experienced or trained employee leaves their position, this is called turnover. They must be replaced with a new hire, which can be a major drain on employer resources. Replacing a large number of employees is what causes a high turnover rate – and usually means something is wrong with the workplace experience that is leading staff members to leave their positions. To get to the root of the problem of turnover, we must first understand what causes it. For most facilities, the most likely cause of turnover is employee burnout. 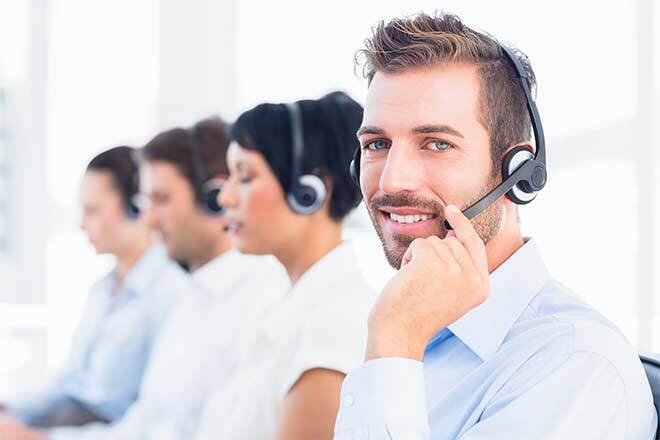 By its very nature, call center work can be repetitive and tedious. Because of this – and the fact that the work can feel thankless and emotionally tiring in the worst of scenarios – many employees quickly become tired of and fed up with the work and quit. For other employees, turnover may be caused by a lapse in satisfaction with the workplace environment, a feeling of being overworked, or a disconnect between what they’re doing and what they hoped or thought they would be doing on the job. How Does Turnover Impact Business? Call center turnover can have a serious impact on the businesses it affects. How? Consider the aspects of business that can be impacted by the drain on resources that new hires may cause. Financial resources, as you must pay the staff responsible for both the hiring process and opening or maintaining the business itself if hiring is performed outside of regular business hours. The resource of time, as your staff members who are responsible for the hiring process, are not able to perform other important tasks during that time. Physical resources such as training materials, office space, and more, as you devote new materials to each new employee or to each person who moves through the hiring process. Lost profitability, in that a newer employee is much less likely to contribute meaningfully to their workplace and therefore is not a profitable member of your team for some time after being hired. Every new team member means starting from square one with a position of your overall team being profitable. Start from the beginning. You may be too late to stop turnover altogether when it comes to your current staff, but you can start with every new hire by choosing people for the job who are most likely to stay in their position and who seem motivated to work their way up through the company and remain dedicated to the center. Look for employees who are highly motivated, seem to enjoy the type of work you have to offer and are not looking to move or transfer in the near future. Avoid hiring those who are just looking for a summer job or “something for now”. These employees are turnover waiting to happen. Reflect inward. Is your call center a fun and exciting place to work? 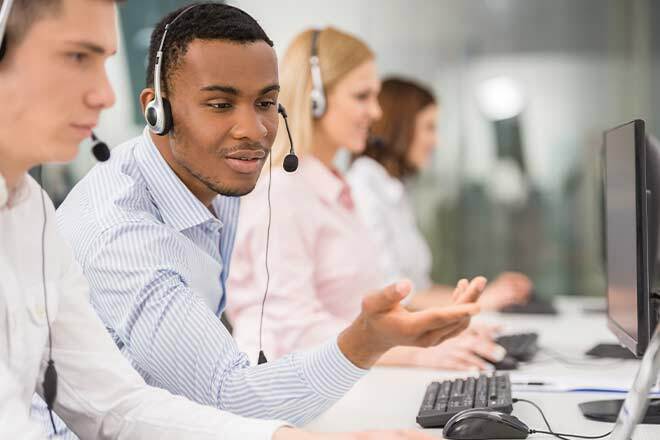 While contact center work isn’t necessarily the most entertaining, there are many improvements that can be made to create an enjoyable, comfortable, and uplifting work experience for your employees. Creating an environment that makes your staff enjoy coming to work will repay you with a group of employees who love what they do and are happy to show up to do it day after day, year after year. Offer ample opportunity for feedback. Not only should your consumers be able to offer feedback to your agents, but those agents should also be given plenty of opportunities to offer their management team feedback as well. By receiving feedback on how you’re doing as a manager, you can improve your own approach while offering tips for your team to improve theirs, improving your call center operations from every angle. Pass out praise. People love to be recognized for their achievements. Nowhere is this better placed than in the work environment, where recognizing achievements can also encourage employees to maintain the behavior that is leading to those accomplishments. Likewise, it sets a standard of achievement that makes aspiration a driving actor in improvement for employees at every level. Bonuses, rewards, and compensation packages that serve as benefits for those who achieve specific levels and numbers are a great way to entice those who otherwise aren’t motivated to achieve to do so. Some employees may want to improve their performance simply to be better versions of their professional selves, while others may need that extra push. Whether you’re offering more vacation time, the flexibility of creating one’s own work schedule, the opportunity to work from home, or on-site perks for employees, there are nearly endless options for what you can give your staff to reward them for giving you great performance. Never overlook these options as a way to motivate. 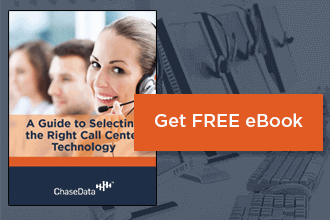 Ready to learn more about minimizing call center turnover and maximizing employee satisfaction and productivity in your contact center this year? Contact the experts at ChaseData for more information. We can help you make the most of the work environment you have with tools and technology that will make it into the center you want – all while giving your agents the workplace experience that will keep them right where you need them to be.